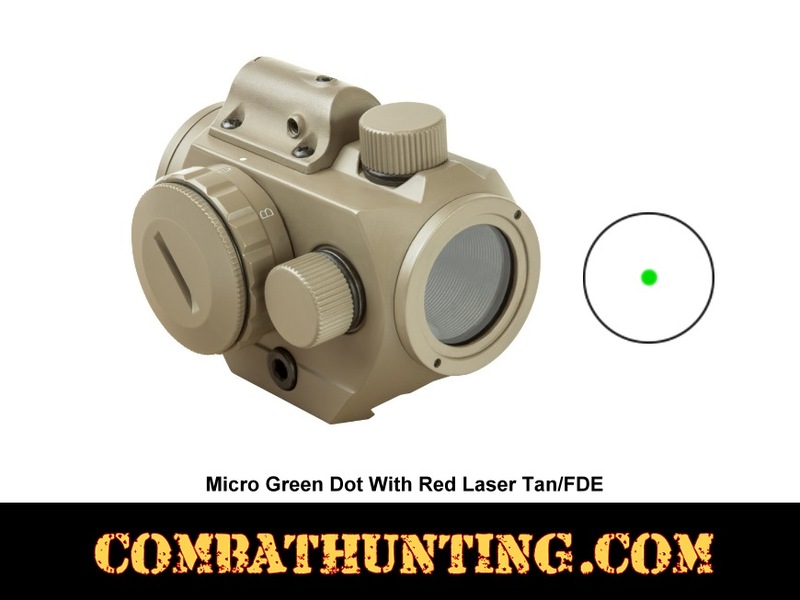 The VDGRLT Vism Micro Green dot reflex sight optic with integrated red laser is two sighting devices in one compact and sleek design color is tan/fde. Micro green dot with red laser mounts onto virtually any Weaver/Pictinny type rail and it is is fully adjustable for elevation and windage. Unlimited Eye Relief for flexible mounting with 3 MOA Green Dot that has five brightness settings for low light shooting conditions. The integrated red laser is fully adjustable for elevation and windage and it is impendent from the green dot sight. 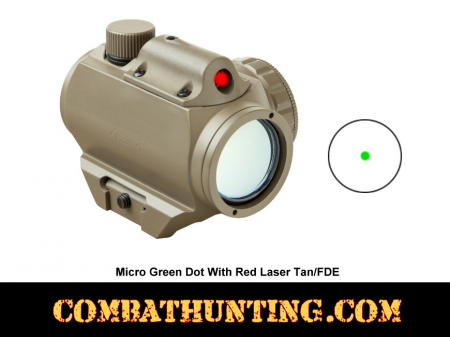 The Green Dot and Red Laser is controlled by a single rheostat dial for convenience. Bikini style lens covers and mounting and zeroing tools included. FDE/Tan Powder Coated aircraft grade aluminum body for rugged durability.